Fair. 0142004332 ALL BOOKS SHIPPED WITHIN 1 DAY OF PURCHASE! Maisie is an amazing woman whose gifts, fortunately, were recognized early. And that made all the difference. Since this is the first book in a series, it's appropriate to tell us who she is. What we have here is a romance, mystery and historical novel all rolled into one book. You will get a sense of London during WWI and the beginning of the twentieth century. I really enjoyed this book. At the beginning I wondered if it would hold my interest. But,it soon became a story that I could not put down. I have recommended it to my family and friends. I've finished all the books in the series and I'm very sad about that. It's truly an excellent compendium of post WWI, written within the confines of murder mysteries. You can't help but be enthralled. Winspear writes with a sympathetic eye to those experiencing lifes difficulties. She weaves a good tale and draws the reader in from the beginning. WWI is a history that is less familiar to most of us than the more recent wars (WWII, Korea, Vietnam). 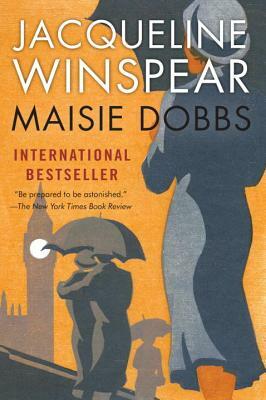 In this novel (which begins a series) the era comes alive as we are drawn into Maisie's life and experiences. Maisie is a character whom anyone would welcome as a friend. This is an engaging historical novel, mystery and psychological thriller all rolled into one. It entertains as it instructs, all the while whetting the reader's appetite for subsequent volumes. Thoroughly delightful.